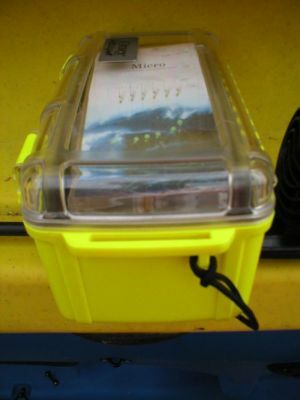 the first thing you notice is the solid feel of this box and the quality design and build the boxes come in a variety of colours some with transparent lids and some with solid colour lids . 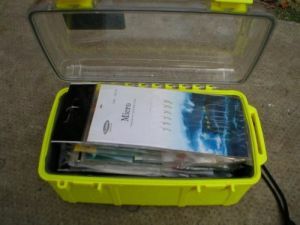 you can see here the lenght just right fo a pack of feather rigs in this box i put 40 sets of riggs and about 40 jelly eels you can see its still not full plenty of space for more kit . 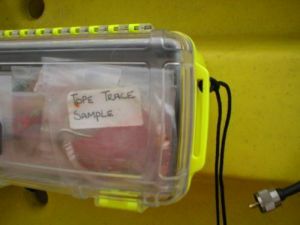 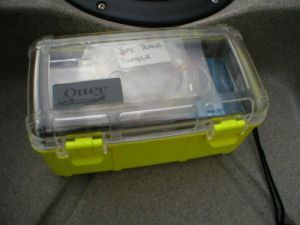 time to start testing i filled the box of tackle then tossed it in to a bowl of water and it floats so easily retrived if droped overboard . 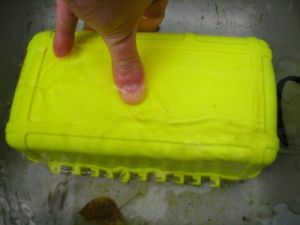 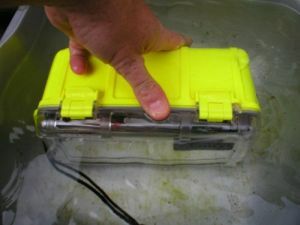 Not a drop of water went inside this is really a dry box and it worked great in all my tests just the right size very robust i droped it twice and very visable as well . 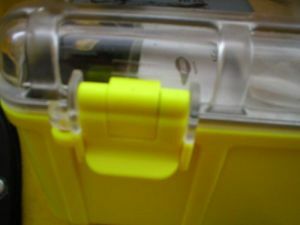 the most amazing bit is yet to come this box retails at under £20.00 . 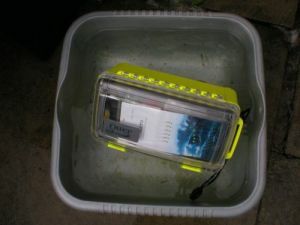 i could have easily fitted my camera in this box as well i think we have now found the perfect waterproof box for out tackle and all the bits and bobs . 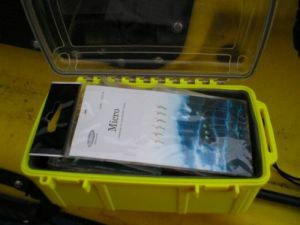 I think otter have got it just right with this box and its sure to be a winner .